JUPITER, FL--(Marketwired - Jun 24, 2015) - Wired Island International, LLC, a digital PR firm providing technology-oriented companies with public relations and digital marketing services, today announced Barbara Tuck is joining its network of communications professionals. Barbara has had a long, successful career as a technology journalist with positions at Electronic Products and Computer Design. As part of the Wired Island team, Barbara will expand the agency's range of services and will act as a technical resource for the team and its clients. "The lines between traditional public relations and the emerging world of social media are merging and rely heavily on the ability to develop rich, compelling content that can be used across a range of mediums. Everything we do from SEO to web site development to product launches hinges upon being able to effectively deliver a good story. And, in our world, that means having a good grasp of the technology," said Mrs. Toni Sottak, Managing Director of Wired Island International. "Barbara brings a valuable perspective on the industry as well as writing talent and a collaborative working style that fits well with how we operate. We are thrilled to have Barbara on our team to help us enhance the services Wired Island offers its clients." Barbara's career spans three decades and three major metropolitan areas. She has held numerous writing positions at PennWell Publishing and Hearst Publishing where she reported on the tradeoffs in ASIC, FPGA, SoC and IP design technologies and the design tools and methodologies needed to optimize the silicon. 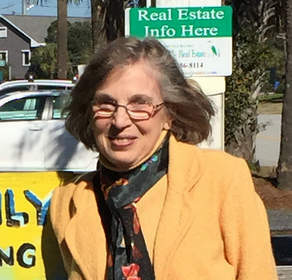 Currently, she is based in Charleston, South Carolina, where she has been working as a freelance writer and enjoying being close to her grandchildren. "I feel so blessed to have had so many great opportunities in life," said Barbara. "I've been able to balance my time pursuing all of my passions from spending time with my grandchildren to doing volunteer work in the community and the arts and now covering technology again. I'm fascinated by the excitement of the global explosion of data and the opportunity to explore the silicon and software required for the compute-intensive tasks in data center, cloud computing and Internet of Things applications. Plus, I really need to keep up with my tech-savvy grandchildren, so this is a win-win!" Barbara has a reputation for asking the hard questions and crafting well-rounded, objective stories that often include the perspective of end users. At Wired Island she will help with writing and editing contributed articles, white papers, technical briefs, product backgrounders and other related materials and documentation. Wired Island is a full service, independent PR and web design agency that specializes in serving technology-based business-to-business clients. The agency combines traditional public relations with content creation and web site design and development to deliver holistic, results-oriented communications programs. For more information: www.wiredislandpr.com. Technology industry journalist, Barbara Tuck, joins Wired Island International to help technology clients with technical writing projects.